George Cappony has a 90 minute, highly informative multimedia presentation on how to sell your house fast with the 5 Day Sale Method. Featuring streaming video, as well as Power Point, George's speaking presentation is both entertaining, as well as educational on the entire 5 Day Sale Method process. George has given this informative sell house fast multimedia demonstration to REIA groups across the country, including Long Island, NY, Dallas, TX, Minneapolis, MN, and Kansas City, MO. To request George Cappony to speak at your upcoming real estate investor event on how to sell your house fast, simply fill out the contact form below. 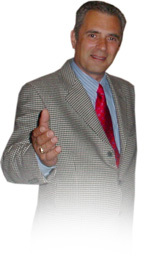 Read George's speaking biography, as well as view his topics for presentation on how to sell your house fast with the 5 Day Sale Method. Simply give us a call at Phone (770) 717-4400 or send an Email to salessyst1@gmail.com to request George to speak on how to sell your house fast for your group.